Sometimes while focusing on the next multi-bagger, top performing fund or booming real estate investment, we end up ignoring the most important factor that impacts our family’s financial well-being – our behavior and emotions towards money. Our emotions, previous experiences and psychology play a big role in any financial decision-making process and may end up doing more harm than good. 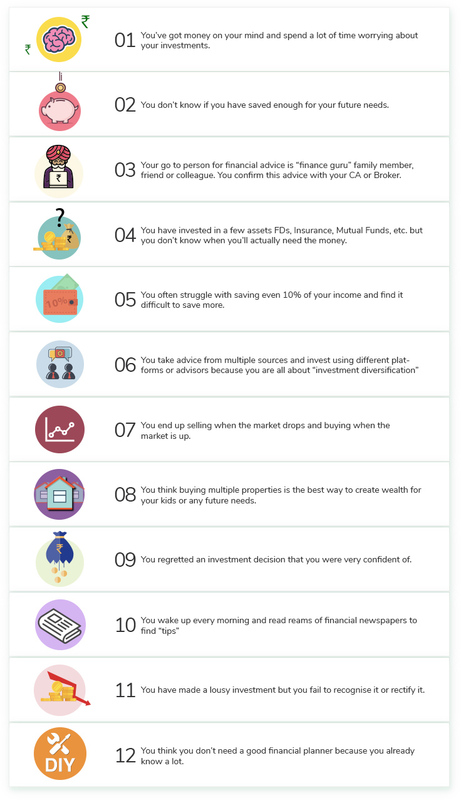 Let’s look at 12 such signs which might indicate that sometimes we need a little bit of help making wise investment decisions. With finance being such sensitive, yet integral aspect of your life, mistakes are bound to occur. These could either be because of your own fallacy or circumstances out of your control. Thus, the truth remains that you do need a good, qualified financial planner. Not only to help you rectify all the 12 signs listed above but also to stop you from making mistakes, help you be certain of your financial future and be your trusted partner in your financial journey. Another important step is giving your money a purpose. When you have a goal in mind and are saving and investing towards achieving that goal, you are more likely to stay focused and not let your greed or indecision come in the way. Giving your money purpose and focusing on goals ensures you don’t get carried away by multiple investment avenues and select what suits your needs and requirements. 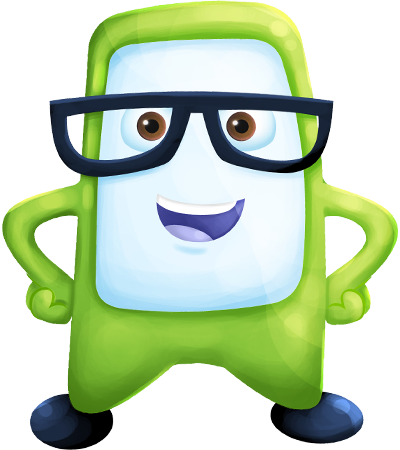 If you want to know about Happyness Factory’s approach to helping you plan save and invest for your financial goals, read our article Invest the Right Way or click here to talk to a Financial Coach.